The Ferno KED Pro has many industry requested improvements to the original Ferno KED. These improvements enhance patient comfort and user functionality, resulting in better patient outcomes. Wide padded spine support section. Additional deceleration strap for holding shoulders back. Better head stability and security is achieved via a wider head support piece. 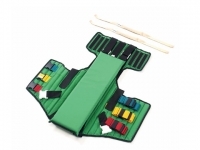 Fold back chest flaps allow access for chest examinations and placement of electrodes. 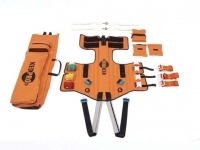 Padded leg straps with quick connect buckles for confined space rescue operations. 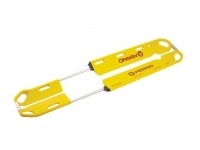 Two additional standing take down manoeuvre straps. Carry bag with pack away backpack straps and room for storage of neck collars.